When Chattanooga became the first city in the United States to run on a citywide fiber network that offered remarkably fast internet service, multinational business moved in and prompted rapid growth and development. 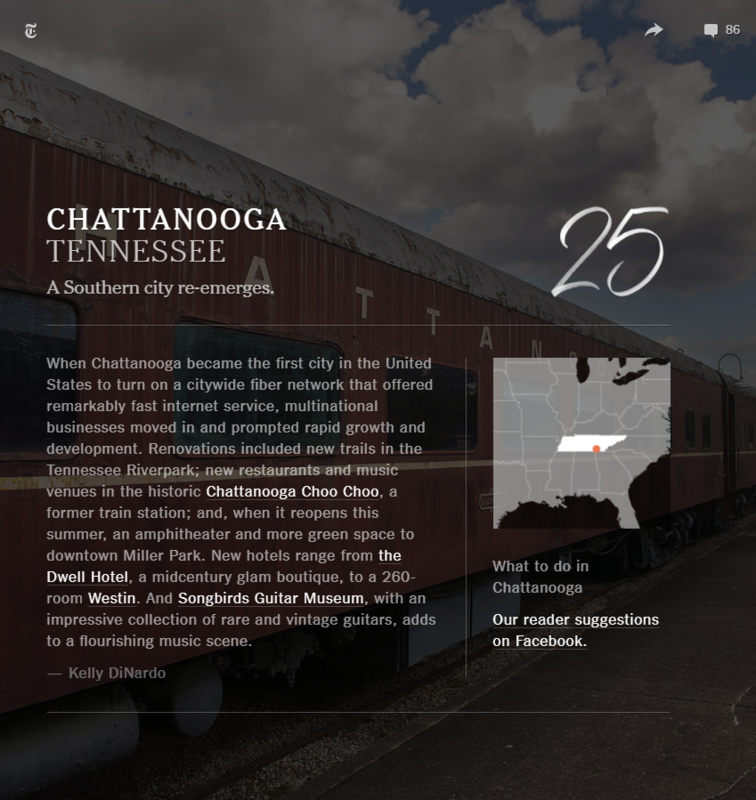 Renovations included new trails in the Tennessee Riverpark; new restaurants and music venues in the historic Chattanooga Choo Choo, a former train station; and, when it reopens this summer, an amphitheater and more green space to downtown Miller Park. New hotels range from the Dwell Hotel, a midcentury glam boutique, to a 260-room Westin. And Songbirds Guitar Museum, with an impressive collection of rare and vintage guitars, adds to a flourishing music scene.